One of the biggest names in shooting, Molland is part of the Bettws Hall. We asked how the shoot is run and about the challenges it faces. Molland has long been recognised as one of the premier West Country shoots, so how are things looking this season? Molland is an estate that has been under the Bettws Hall branding for 11 years and it has been owned by the same family for 800 years. There are few estates in the UK that have been in the same family for such a long time. It is a beautiful estate, which lends itself to spectacular driven pheasant and partridge shooting. We have had a very encouraging build up to the season, with most of our days already booked. 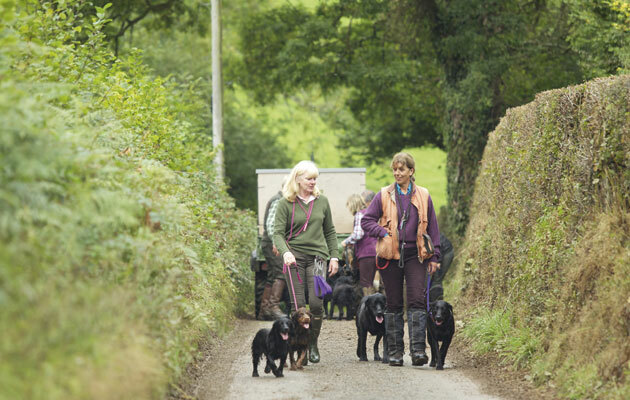 We have a long list of regular clients who are looking forward to their visit to Molland this season. 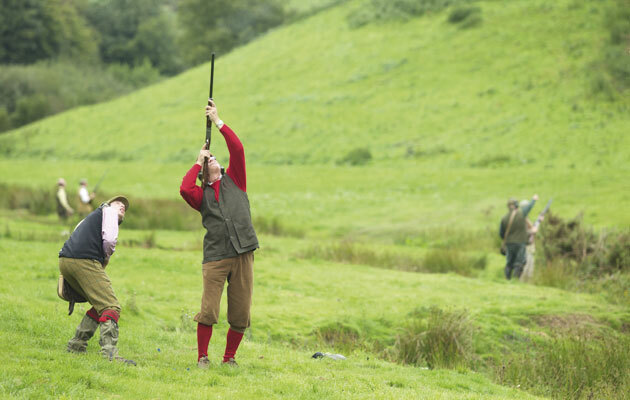 As part of the Bettws Hall group, the shoot benefits from a wide knowledge of what guns want, from easy-to-use hedge stiles to soaring, 80-metre high pheasants! What acreage is the shoot, how many drives are there and how many days a season are there? Molland estate is 5,000 acres, including the moorland, which provides enough variety in woodland and crops for us to have 30 premier drives. This allows us to tailor our days to the needs of each of our clients, depending on what challenge they prefer, whether it is a striking, high, slow-paced pheasant or a speedy partridge making its way around the mountain in front of the peg. We run more than 70 days from September to February, which are arranged in a format that allows the keepers to make sure our estate is providing fantastic birds throughout the season. Can you tell us a bit about the headkeeper and his underkeepers at Molland, and where else they have worked? 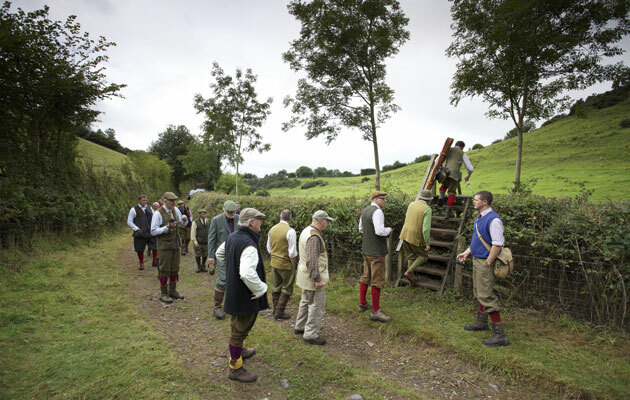 Gareth Clark has been appointed headkeeper, having been a beatkeeper at North Molton Shoot for over 10 years. He has vast experience of Exmoor and how to produce high, testing birds, and we are happy to have him on board. His support team are beatkeepers Kevin Simpkins, Eli King and Ben Darley, and underkeeper Steven Trawin. Early season partridge at Molland are among the most testing you will find in the UK. Who hosts the days and who makes decisions about long-term improvements, such as new drives? Caleb Sutton runs our West Country estates, which are Chargot, Molland and West Molland. Caleb has been with the company since we added Molland to our ever-expanding portfolio in 2003. He runs a fantastic day in Devon, and has a great team who support him throughout the year. This will be his 16th season on the Molland shoots. What’s an average bag and how high are the most testing birds? Our bag varies depending on client requirements, but we tend to have an average of 350-bird days. Nevertheless we will create a bespoke day to the needs of our customers, whether it is a 200-bird day, or a thrilling, no-expense-spared 600-bird day. We are here to satisfy every client’s needs. The huge rolling valleys at Molland and the crops we use lend themselves to a variety of challenging birds. They can be as high as 80 metres and more, which is fascinating to watch never mind shoot. Can you give us some details about the rearing and releasing of the partridges and pheasants at Molland? Do all the birds come from the Bettws Hall game farm? All stock comes from our game farm in Mid Wales, which is the most efficient game hatcher set-up in the world. Once all the chicks have been graded, we send them to Molland in one of our temperature-controlled vehicles, where they will be reared by a dedicated and experienced team. We release our birds to wood, then it is up to the keepers to make sure the stock is fit and ready to perform by September 1. 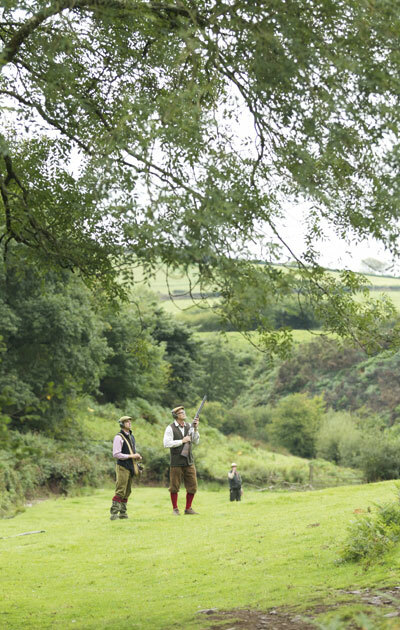 A day at Molland offers stunning English views as well as scintillating shooting. What cover crops do you use? We use the standard maize, kale and triticale with perennials such as chicory, reed, canary grass and wild bird mixes that are not only good for the game birds, but also fantastic for the small birds during autumn and winter. Is there much woodland management? The woodland is a mixture of broad leaf and forestry, and we have a very close relationship with the landowner and Forestry Commission to improve habitat, not only for game but for all sorts of other wildlife. We are fortunate to have several signature drives, with classics such as Folly, West Molland Wood, Pullery, Good Heavens and Gourte. Wide valley bottoms and steep banks make for testing birds. With Bettws Hall being such an extensive operation, are there challenges in terms of ensuring continued high standards across the board? Yes, like all companies we have challenges ahead of us, however we’re a young and enthusiastic team and enjoy overcoming the inevitable hurdles to make sure the days we provide are the best of the best. Every season we learn from any previous mistakes and make sure everything is put into making the shooting experience the best it can be for our clients. We have overcome such challenges in the past and built up a business from nothing to one of the best in its market in the UK, and this does not come easily! We have also received fantastic support from our dedicated shooting teams and our game customers over the years, which has allowed us to provide the finest possible service and products for them. The pickers-up make their way between drives along a classic Devonian lane. What are the plans for the future and how much does it cost to shoot here? 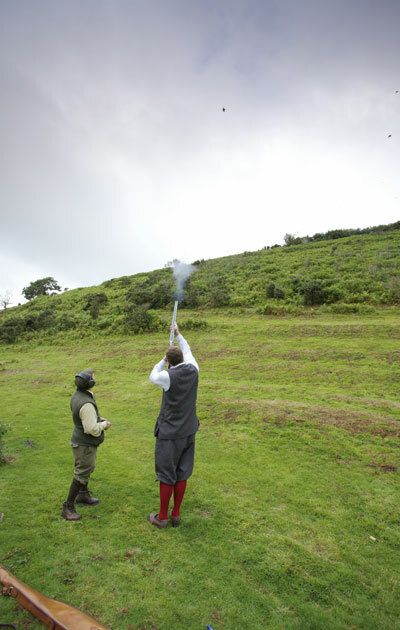 Our price varies according to the estate you wish to shoot on. However, our average price for pheasant is £42 per bird and partridge is £37. It is important to remember that our birds are challenging due to the terrain, so price per bird may seem high but price per shot is actually very low. As previously mentioned, we can tailor our days to the requirement of our guests, whether that is a 150-bird day or a 600-bird day. The future at Bettws Hall is very exciting, with a young team operating as the engine of the company. We know that exciting new ventures lie ahead for Bettws Hall and we look forward to sharing these with our clients in the very near future.